Torres Del Sol, 1 Bedroom Apt (Ref 31), Los Cristianos. This 1 Bedroom Family Apartment (This Apartment only sleeps upto 3 per or 2+1 pers). The Apartment is on the 11th floor (Lifts to 11th Floor) Great Views. 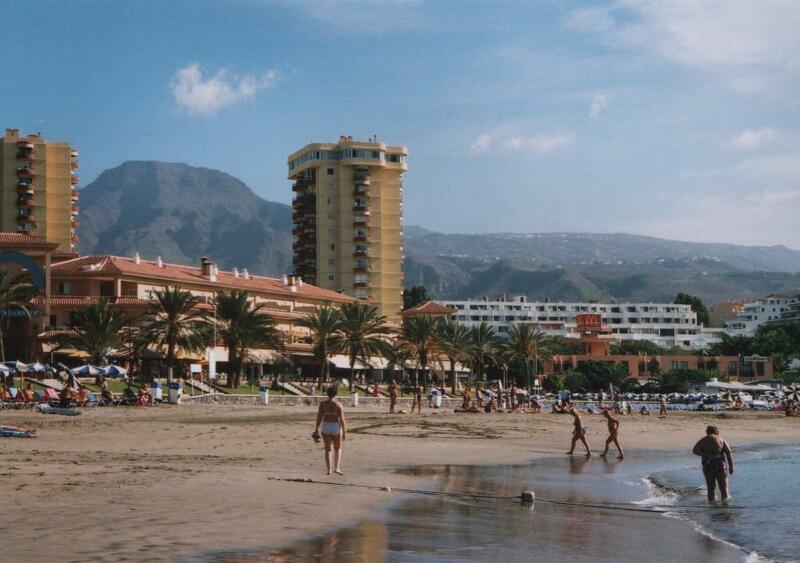 Torres de Sol complex which is close to a variety of excellent local restaurants, bars and of course the local shops. The complex has its own bar, restaurant, pool and gardens adding an air of luxury to the perfect location for your well earned holiday. It comprises of lovely views towards Cristianos, the Beach and Full Sea Views. The Balcony has table and chairs , drying rack. The apartment has white marble flooring and white walls. New internal oak doors.